See the sky meet the earth at Sasaran Beach, where low tides result to reflective shallow waters! Witness a multitude of sea creatures such as sea clams, shore crabs, sea snails and pink dolphins! It was very good experience and our tour guide Ahmend is very nice and helpful. I recommend you join this tour. Explore more of Malaysia's natural beauty with this exclusive day tour! 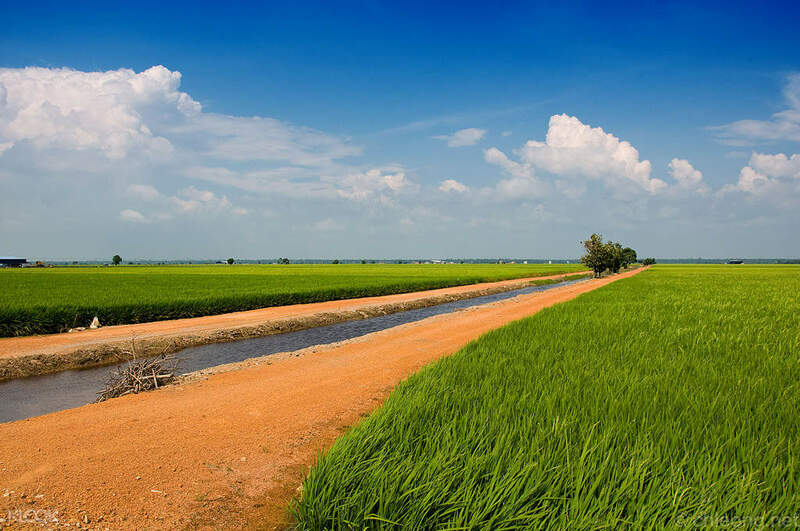 Visit Sky Mirror and Sekinchan Paddy Fields, two of Malaysia's most popular tourist attractions. Start your tour on a shuttle bus driven by a professional English-speaking guide, who will then lead the way to Kuala Selangor. Once you arrive at the port, you and your group will be escorted to a jetty heading to Sky Mirror. Enjoy the fantastic view of the sea from the comfort of your tour's jetty, and reach the famed tourist spot in an instant. Be amazed by the gigantic sandbar of Sasaran Beach, where you'll get to see a huge reflection of the blue sky. Take unlimited pictures with friends and family, and make sure to pose creatively. After a fun photoshoot, head back to the mainland, where you'll eat freshly served seafood straight from the harbor. Savor the deliciousness of Malaysian cuisine, and make sure to eat a lot for the next part of your adventure. Hop on the shuttle bus, and continue on to the fishing villages and rice fields of Sekinchan. Fall in love with the picturesque scenery of the province and visit the town's paddy gallery. 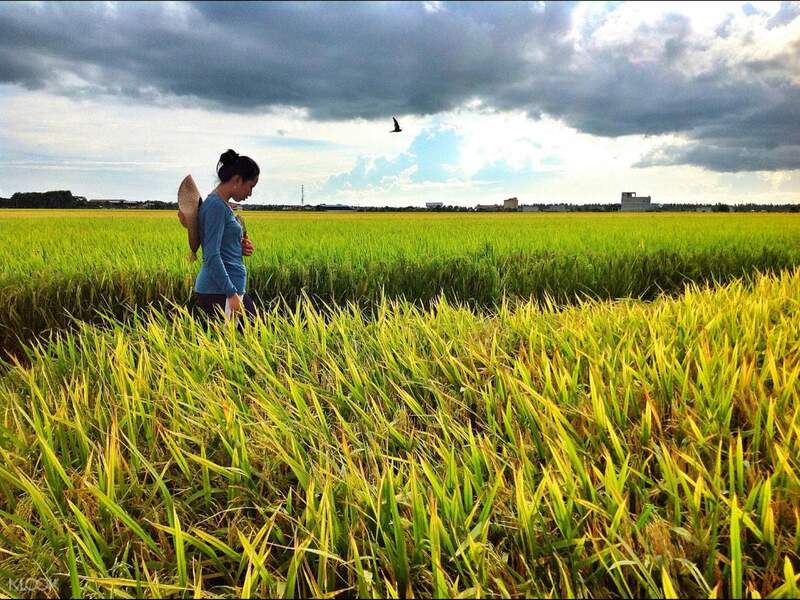 Learn more about rice farming - a centuries-old livelihood that's still alive in the area. End the tour with a visit to the Nan Tian Temple, a local Buddhist complex famed for its sweeping view of Sekinchan's luscious rice fields. Book now for a Malaysian adventure! 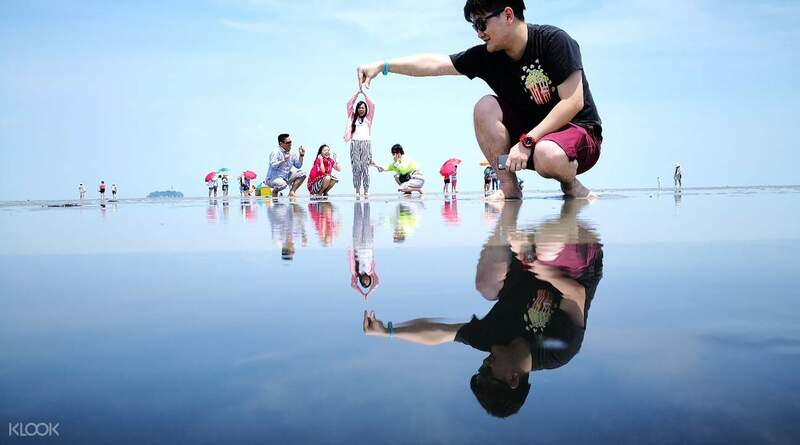 Use Sky Mirror's installations for a more creative family photo! Prepare crazy poses and wear colorful clothing to stand out in your group photo! The local travel agency was very professional and took care of my friend and me very well even only 2 of us. Professional driver pick us up from & back to the hotel. The Sky Mirror local guides' service were amazing and helped us took the awesome pictures. The rice farm was a bit boring. But average of this one day tour was still very good. The local travel agency was very professional and took care of my friend and me very well even only 2 of us. Professional driver pick us up from & back to the hotel. The Sky Mirror local guides' service were amazing and helped us took the awesome pictures. The rice farm was a bit boring. But average of this one day tour was still very good. Our guide, Peter, was excellent! Hospitable, knowledgeable yet humble and the condition of his coach is tip top! The company, Ivy holiday responds to queries very promptly. My husband and I had a great time! Strongly recommended! Our guide, Peter, was excellent! Hospitable, knowledgeable yet humble and the condition of his coach is tip top! The company, Ivy holiday responds to queries very promptly. My husband and I had a great time! Strongly recommended! Nice tour and driver - Peter He is on-time and nice. Also he provided us excellent introduction about KL. Staff from sky mirror tour are really friendly and nice, helping us to take lots of photos. Nice tour and driver - Peter He is on-time and nice. Also he provided us excellent introduction about KL. Staff from sky mirror tour are really friendly and nice, helping us to take lots of photos. 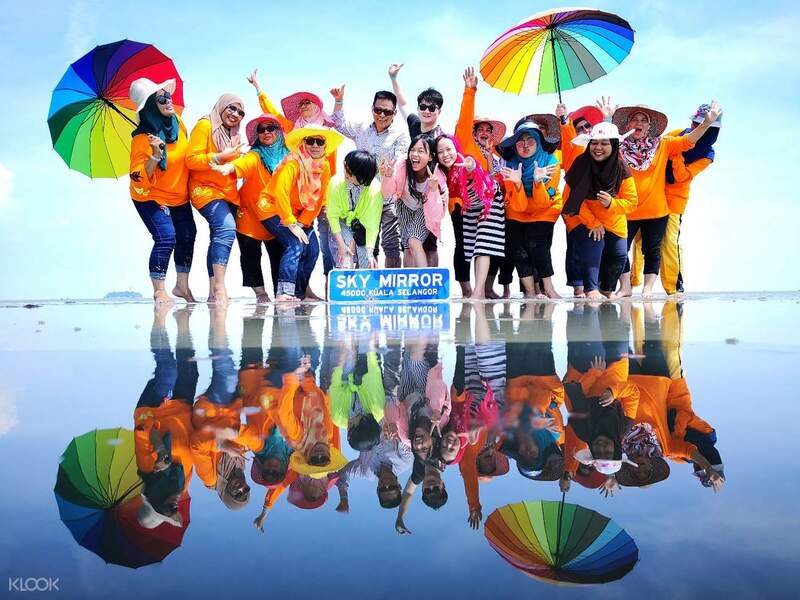 We have a wonderful Skymirror trip with KLook. Peter was our tour guide and driver. He was polite, drove safely and kept everybody comfortable through the trip. The boat riding and photo taking at Skymirror was very professional and personalized to everyone. Besides skymirror, Peter brought us to a Chinese paddy field museum after a nice seafood lunch. In the paddy factory, we learned rice cropping and tasted different kind local snacks. I would certainly recommend this tour to my friends. We have a wonderful Skymirror trip with KLook. Peter was our tour guide and driver. He was polite, drove safely and kept everybody comfortable through the trip. The boat riding and photo taking at Skymirror was very professional and personalized to everyone. Besides skymirror, Peter brought us to a Chinese paddy field museum after a nice seafood lunch. In the paddy factory, we learned rice cropping and tasted different kind local snacks. I would certainly recommend this tour to my friends. Be sure to bring your umbrellas and hats and plenty of sunblock. Wear flip flops pls as u will be walking around the beach barefoot. The fellas (sorry, can't rem all your names) who took us on boat 925, were lovely. U can take as many pix and get as creative as u want, and they will obliged if time permits. Boat ride takes about 45mins. Sun, sand, blue skies, and the abundance of little hermit crabs and crabs on the beach... I love it! Be sure to bring your umbrellas and hats and plenty of sunblock. Wear flip flops pls as u will be walking around the beach barefoot. The fellas (sorry, can't rem all your names) who took us on boat 925, were lovely. U can take as many pix and get as creative as u want, and they will obliged if time permits. Boat ride takes about 45mins. Sun, sand, blue skies, and the abundance of little hermit crabs and crabs on the beach... I love it! A must-go trip for everyone! 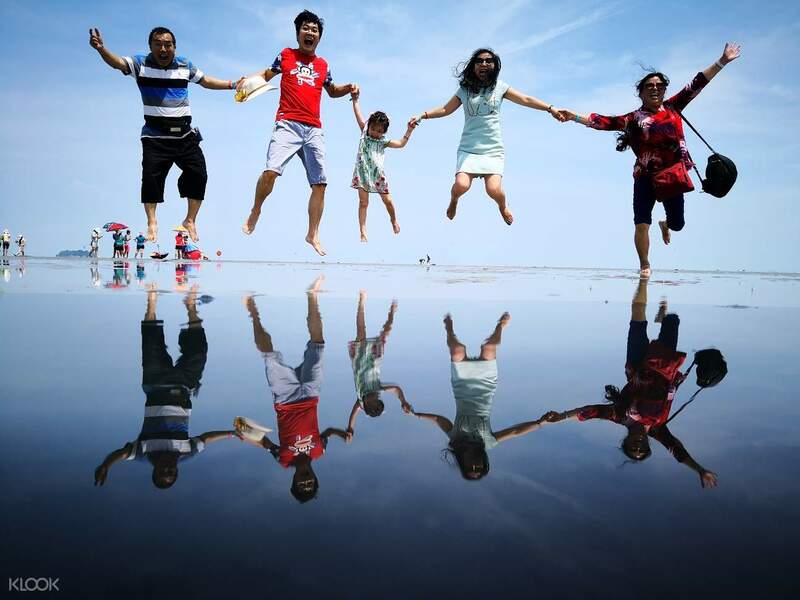 My family love the Sky Mirror to bit by taking as many pics as possible. Thanks to the enough tour guides on the cruise, more creative pics taken by them to complete our fascinating album! Cheers. A must-go trip for everyone! 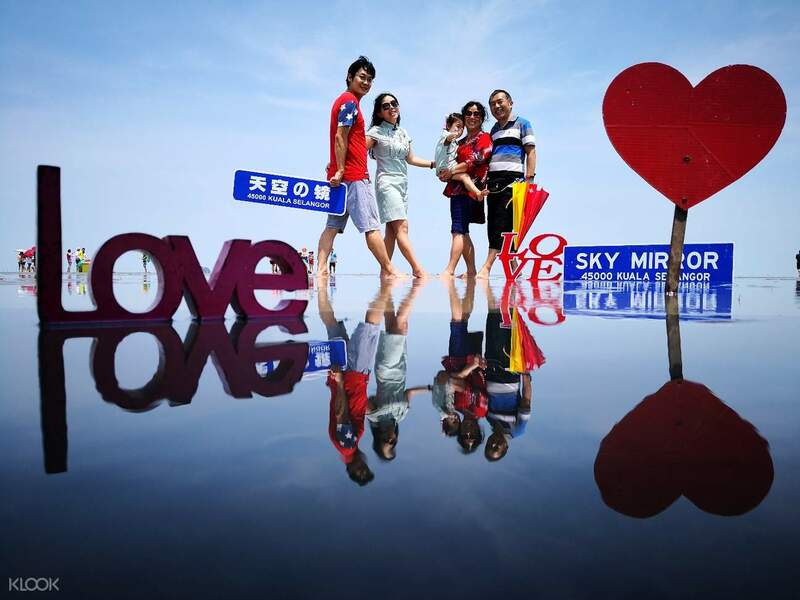 My family love the Sky Mirror to bit by taking as many pics as possible. Thanks to the enough tour guides on the cruise, more creative pics taken by them to complete our fascinating album! Cheers. It was very good experience and our tour guide Ahmend is very nice and helpful. I recommend you join this tour. It was very good experience and our tour guide Ahmend is very nice and helpful. I recommend you join this tour. the staff from the boat company are really good in taking pictures. they also have many ideas in making funny pictures. we all have a good time. the staff from the boat company are really good in taking pictures. they also have many ideas in making funny pictures. we all have a good time. Peter our tour guide is very professional in his service. He arrived on time and provided explanation about the tour. Only setback is the chilli crabs for lunch was too spicy. Other seafood were all very delicious. Peter our tour guide is very professional in his service. He arrived on time and provided explanation about the tour. Only setback is the chilli crabs for lunch was too spicy. Other seafood were all very delicious.